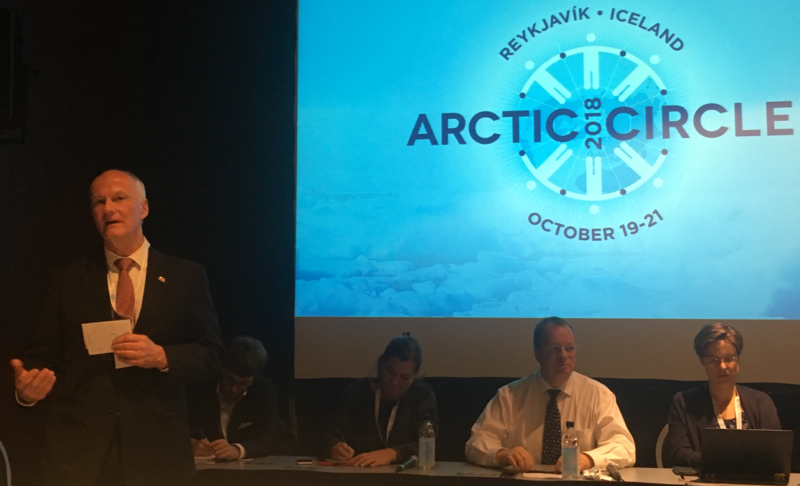 "Strengthening Cooperation between Arctic and Non-Arctic Countries" was the theme of a meeting of Arctic Think Tanks at the Arctic Circle Assembly 2018 in Reykjavik, Iceland. The focus was on the role and functions of policy institutes – or think tanks – in addressing the specific challenges of the Circumpolar North and how its peoples and countries relate with the rest of the world. The meeting was convened by the Arctic Summer College as a joint programme of Ecologic Institute in Berlin (Germany) and Ecologic Institute US in Washington DC (USA). R. Andreas Kraemer, Mercator Senior Fellow at Ecologic Institute, moderated the event. The panel mirrored the institutional and funding diversity of Arctic think tanks. 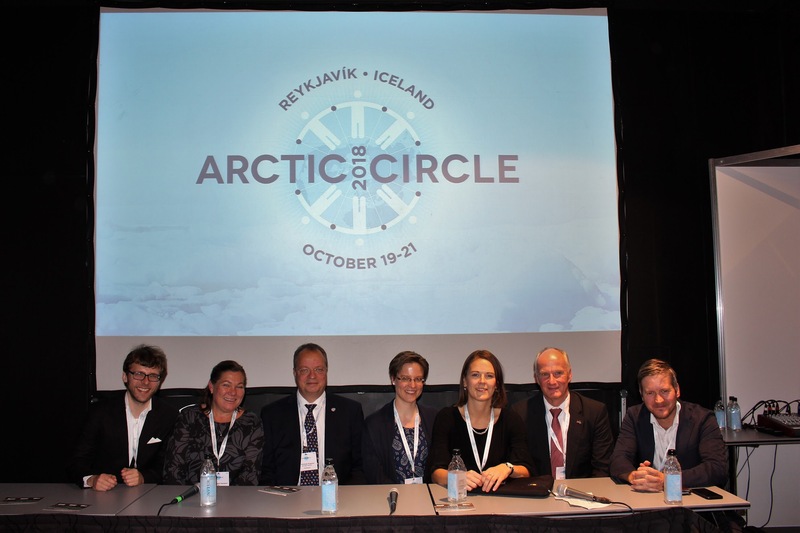 The Arctic Institute is the only think tank focusing exclusively on the Arctic, but it is more a network of competent and highly dedicated experts on the pay-roll of other organisations. The other think tanks have dedicated Arctic programmes among others, and may also integrate Arctic perspectives and concerns into their wider work. Some of the think tanks have core funding from and programme oversight by their respective governments, others compete for funding, and the Arctic competes with other priorities within the organisations. Some have a focus on international relations and security policy, others use sustainability as an objective to guide their work. Some are affiliated with universities and tend to focus on research, while others are closer to policy and include advocacy in their work. In discussion, the participants noted a significant difference between the US and Europe in relation to funding and the notion of think tank independence: In the US, funding from donors, foundations and corporations is deemed to guarantee independence from and critical distance to government. By contrast, in Europe, where most think tanks are emanations of the state and/or attract funding from government programmes, financial support from corporations and corporate foundations breeds suspicion of dependence, undue influence and covert lobbying by think tanks in support of business interests. Think tanks provide valuable opportunities for establishing and maintaining networks of experts and practitioners and lines of communication in parallel to government channels, and thus add resilience to the web of relations in the Arctic.